Of the 2.3m students starting courses at UK universities each autumn, well over 400,000 are international students from non-UK countries. The scale and importance of international students to the UK higher education sector is now well established. Yet we know very little about how students from non-UK countries experience and interact with the heavy drinking culture that predominates on and near many universities. Many international students often come from cultures marked by moderation or abstinence around alcohol. And concerns have been raised that activities centred on alcohol may exclude international students. We’ve conducted new research to reveal the perceptions of British drinking cultures held by international students studying on postgraduate courses at a UK university. In focus groups and interviews, students from countries including Nigeria, the US, China, Turkey, Poland, Germany and Greece told us of their experiences of drinking culture at university. The British Council, and many city and university marketing teams, often promote the British pub as a safe and friendly leisure space in their bid to market studying in the UK to international students. The students we spoke to were aware of the iconic image of the British pub. They spoke of their desire to participate in what they saw as being an important part of British culture. Others spoke with excitement of being able to try British real ale and craft beer as a part of their experience of living and studying in Britain. 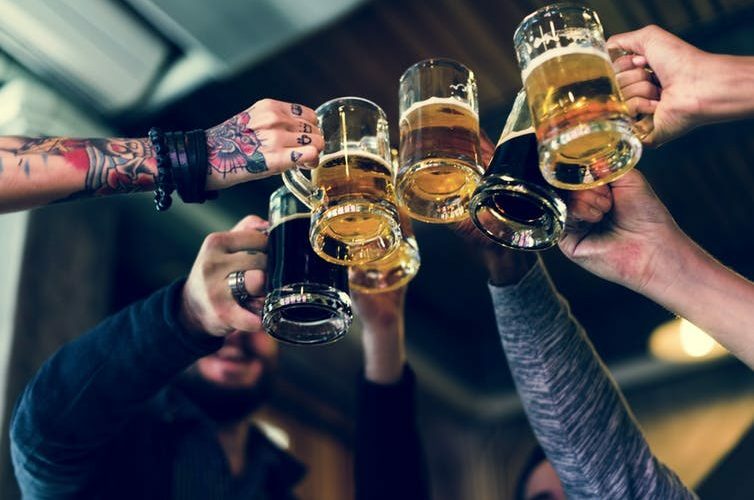 Having seen depictions of British pubs in television, film and, increasingly, social media, most international students were aware of alcohol consumption being important to British culture before they came to the UK. This prior perception was confirmed by their initial experiences on arrival. Our interviewees felt that getting drunk was an important part of British cultural life and reported being initially surprised that drinking to excess was an expected part of university life. Despite these concerns, drinking alcohol was an important part of the social lives of many international students. Many had enjoyed their experiences of socialising in bars and pubs. For others, whose degree programme cohorts were predominantly fellow international students, the pub was a space in which they could view and interact with British culture and British people – such as non-student locals. International students made ready comparisons with the drinking habits and attitudes of their own cultures. Many told us about how people drink alcohol and get drunk in their own cultures. But they contrasted this with the tendency of “going too far” and of “not knowing when to stop” that was perceived to be a major characteristic of British drinking culture. That said, many interviewees had enjoyed learning about the practice of buying “rounds” of drinks, using “cheers” before drinking and the lack of table service in Britain. They saw this as a fun and a pleasurable part of getting to know local culture. International students say they are shocked at the amount of booze consumed by Brits at university. As identified in other research, gender is an important feature of how students view drinking and drunkenness. Concern was expressed in our study about a perceived lack of control among some British women when drinking alcohol. Words such as embarrassment and shame were used by both male and female interviewees to define the boundary between fun, sociable drinking and excessive drunkenness. Interviewees expressed surprise that public vomiting and urination or collapsing in the street were so widely tolerated and even in some cases expected and celebrated by British students. But while many students spoke of the pub as a welcoming and relaxed space for socialising with friends, bars and nightclubs were said to be intimidating places where they felt at risk of violence or harassment. Many students witnessed fights. Female international students had particular concerns – several spoke of their strategies to stay safe when out at night. The avoidance of the streets at night due to a fear of potential violence or aggression was also highlighted in a previous study that looked at levels of racism experienced by international students. That said, UK drinking culture is changing. More than a quarter of young adults in the UK do not drink alcohol. “Sober campuses” during fresher’s week are becoming more prevalent, as are teetotal university halls. And many students are eager for advice on avoiding or moderating the pressure to drink heavily while at university. But only time will tell whether this is a trend that is set to remain.